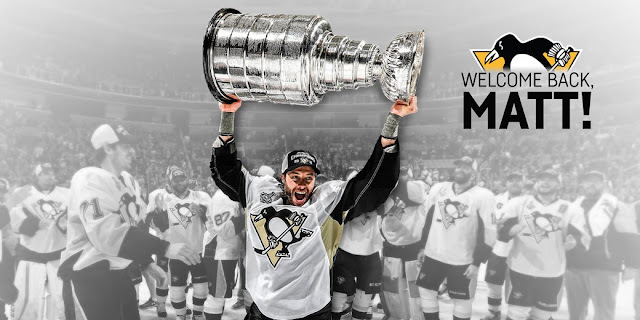 The Pittsburgh Penguins have (finally) announced that they have resigned veteran, Matt Cullen, to a one-year contract. The deal is worth $1 million. Since being drafted in 1996 by the Anaheim Ducks, he has compiled 658 career points in 1,294 games. Cullen was an integral part of the Penguins line up all season, taking on many roles when the team was plagued by the injury bug. Upon the Penguins winning the Stanley Cup in June, he became a 2-time champion (he won his first Cup wit the Carolina Hurricanes in 2006). In the 2015-2016 season, Cullen tallied 16 goals (his most since 2009) , 16 assists and 32 points. He also played in all of the Penguins 82 games in the regular season. He has been one of the Penguins most consistent players this past season and put up two game winning goals against the New York Rangers during the opening round of 2016 NHL Playoffs. He also became a reliable on the face off (a 55.7% success rate in the regular season) and on the penalty kill.